In July, the Nags Head Golf Links Ladies’ Driving Fore the Cure raised $44,000 — $22,000 for the Outer Banks Relief Foundation to provide financial relief for breast cancer patients and another $22,000 to provide scalp cooling cap therapy so that patients might keep their hair during chemotherapy. Now through the end of October, Tanger Outlets in Nags Head is hosting TangerPink. Purchase a $10 Pink Card and receive 25% OFF any item at participating stores. Proceeds go to The Outer Banks Relief Foundation and BCRF. 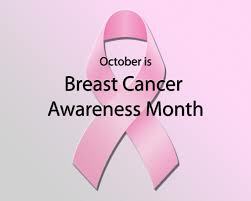 Nags Head Fire & Rescue is raising money for breast cancer awareness. Buy a t-shirt, sizes S-XXL for $20. Proceeds go to the Outer Banks Relief Foundation. Vidant Health and the Outer Banks Hospital are promoting breast cancer awareness through the Pink Power Tour (www.vidanthealth.com/Campaigns/Pink-Power).